Home Opinion Your private account isn’t private. 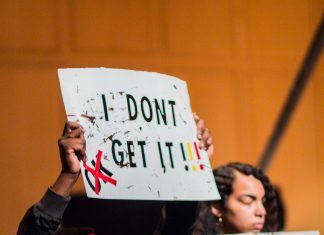 Last week, a student posted a picture of a gun on their Snapchat story with the caption, “Bang.” Within hours, a report was made to Public Safety, the student was taken into custody, arrested and has since been issued a no trespass order for all of campus. Besides the unnerving reality of a weapon being on campus, this incident struck me as a wakeup call to social media privacy or the complete lack of it. As an avid social media user myself, I took a step back and noticed how carelessly we as college students navigate our social platforms. By often ignoring the fact that nothing online is private, we put ourselves and our futures in jeopardy. It’s easy to think you can trust everyone following or watching you. With constant sharing across every platform, content can seem more intimate and mostly between close friends. The reality is, it’s everyone and anyone who can see all of your friends’ phones. If you have 300 friends on Snapchat, imagine how many other people they could be sharing your picture/video with. That means whatever you post can, and just might, get into the wrong hands. I’ve been guilty of it myself, posting a story and then thinking hours later, “Wait, who exactly is seeing this?” Yes, the story disappears in 24 hours. But within that time period, anyone can take a picture of the picture within seconds, as seen in the image below from last week’s incident. Snapchat collects your photos. According to its website, Snapchat says, “We collect content you create on our services, such as custom stickers, and information about the content you create or provide.” Additionally, many times their services “require” them to collect images from your phone’s camera roll. I don’t know about you, but I think this is terrifying. A multi-billion dollar, worldwide app has access to all of your personal photographs simply by you using their services. Arguably, there typically aren’t as bad of consequences for posting a funny story of a drunk friend as posting a picture of weapons. However, it’s all too easy to slowly begin justifying what you’re posting, telling yourself that nothing bad happened last time so this time it’s okay to post a night of binge drinking because “everyone does it.” Also, what seems acceptable to post now may hold deeper consequences in the future. Think of the numerous politicians, celebrities and more who have recently lost their reputations after an old tweet or Facebook post is dug up and deemed unforgivable by the public. This past December, actor Kevin Hart stepped down as host of the Oscars after homophobic tweets from 2011 were found on his account, according to Fox News. Some people feel a level of comfort utilizing a variety of “privacy” settings on their platforms to filter followers, block people, etc. But the reality is once a post is out in the social media sphere, anyone who is friends with you can screenshot and send it elsewhere. How many times have you actually read the terms and conditions of your social apps? The platforms you use are constantly collecting data on your usage. Besides all of your followers, an entire company is watching your every move as a consumer. Don’t get me wrong, I’m a big fan of social media. I watch Sam Smith’s Instagram story daily and post videos of my dog on Snapchat every time I go home (sorry not sorry). I think one of the most special things about social media is being able to keep up with far away friends. But these positive aspects don’t come without downsides. 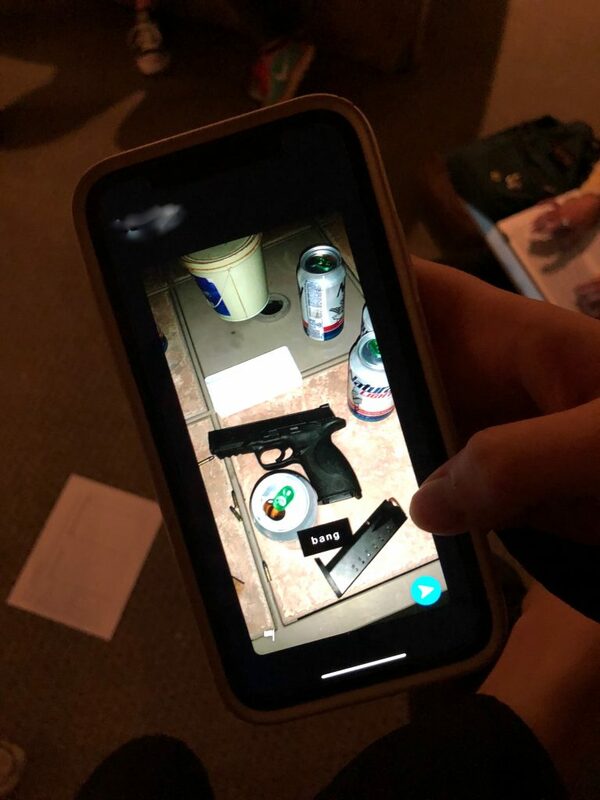 It’s disturbing to consider what might have happened if the picture of the gun on Snapchat was never reported. This time, it was thanks to social media’s lack of privacy that our campus could be kept safe. I’m not telling you to stop being transparent on social media or to monitor everything you post. I am simply suggesting we all stop and think because once it’s out there, you can never get it back.